Corn syrup is a sweetener that is made from corn starch and contains varying amounts of maltose and higher oligosaccharides, depending on the grade of the corn syrup. Corn syrup is known as glucose syrup to confectioners. Corn syrup is a type of glucose syrup which is a term used to define any liquid starch. The broad term glucose syrup refers to corn syrup, tapioca syrup, potato syrup, wheaat syrup or any other starch syrup. The grades of corn syrup are dark and light whereas light corn syrup has a clear coloration and light sugary flavor and is moderately sweet. Dark corn syrups can be as dark as a deep molasses color and have a distinct assertive flavor and is considerably sweeter than the light corn syrup. Corn syrup is used in baked goods to sweeten, soften texture, add volume, prevent crystallization of sugar, and enhance flavor. Light corn syrup is used to replace sugar in recipes, dark corn syrup is used to replace caramel when cooking. Light corn syrup mixes well with other flavors and is subordinate to them to sweeten and not flavor. Dark corn syrup is more bold in flavor and sweetens as well as flavoring. Even though ther are distinct flavors betweeen dark and light corn system they both can be used interchangeably. When a recipe calls for corn syrup it is typically specifying light corn syrup but dark corn syrup will interchange in the same quantities. Corn syrup is different from high-fructose corn syrup, which is manufactured from corn syrup by converting a large proportion of its glucose into fructose using enzymes, thus producing a highly concentrated and overly sweet product due to higher levels of fructose. Corn syrup is made of six ingredients as listed below. The list may seem short but the ingredients get quite complicated. Water and corn are the primary ingredients and are quite familiar to most and each seems harmless if not healthful. The remaining four ingredients signal the controversy that surrounds high fructose corn syrup. You might be familiar with ingredient number three yet we are sure that you didn't expect it to be sulfric acid. The remaning three ingredients are probably not so familiar, these area alpha-amylase, glucoamylase and glucose isomarase complete the list. These six ingredients are what are used to manufacture high fructose corn syrup, a highly concentrated and inexpensive sweetener. Water is the liquid ingredient in High Fructose Corn Syrup and is used to soften the corn so that the fiber and corn starch separate. To produce high fructose corn syrup yellow dent no. 2 corn is soaked in hot water to soften it. The water is also the agent that holds in a liquid form the high fructose corn syrup for transport and use. Fresh sweet corn picked and processed at its peak for flavor and sweetness. The corn cob may be used to produce some grades of corn syrup as the corn cob contains starches that can be converted into specific types of sugars. Some manufacturers of corn syrup do not use the corn cob in their manufacturing process. When making corn syrup from scratch many confectioners slice the corn cobs into 1" sections leaving the cob in tact in order to harvest those corn starches. Malt or Maltose is germenated grains that have been subject to the malting process. The malting process consists of soaking the grains in water which will begin germination process, after the process of germination is underway the grains are dried with hot air to cease germination. This resulting grains contain enzymes that can be used to modify the grain into various sugars. alting grains develops the enzymes required for modifying starches into various types of sugar, the specific enzymes produced depends upon when the germination process was halted. For corn syrup production the germination process of the grains is halted at the point where maltose and higher oligosaccharides are present. Molasses (possible) for flavoring of dark corn syrup. Vanilla (possible) for flavoring of light or dark corn syrup. Corn syrup is made from a process that begins with cooking the fresh sweet corn in boiling water allowing the water to separate the tender corn starch from the kernel. This boiling process will pull the starches and water content out of the kernel, the water evaporates and eventually after hours of boiling the corn kernels are deflated by the heat, the starch is suspended in a clear liquid and the water has for the most part evaporated. In somme manufacturers process and when made by confectioners, the corn cob may be boiled in this process to bring the starches out of the fiber of the cob and suspend them in the liquid material. To continue the process of making corn syrup, the corn cob and kerlel are removed from the viscous liquid by straining. Malt or maltose is added to the viscous liquid and it is further heated, the malt contains specific enzymes that react with the liquid starch transformig it to glucose and fructose. The remaining water is boiled away and this thick and syrupy or sirupy, highly sweet, corn syrup. This corn syrup can either be quick cooled to stop the boiling and chemical proceses at a certain consistency and sweetness for light corn syrup. To make dark corn syrup the boiling is cooled to a cooking state and molasses and or vanilla are added to the corn syrup and mixed well. At a certain consistency, sweetness and flavor the cookign is stopped and the resulging syrupy substance is packaged as dark corn syrup. According to manufacturer's, corn syrup is a higly stable ingredient yet it can go bad. The storage of corn syrup is a concern as with readily available prepared confectionaries at every grocery store corn syrup is an ingredient that is rarely used in most home kitchens. When stored at room temperature, and in dry conditions, a tightly sealed bottle corn syrup may be stored for many years in a dark cabinet. This highly stable ingredient is comparable to the shelf life of honey, which is in most cases noted as indefinite with proper storage. When stored in a refrigerated condition in a refrigerator or freezer corn syrup remains stable and viscous yet in a thicker viscous state. If corn syrup develops a hazy or milky state or develops bubbles on the surface of the corn syrup is is likely that bacteria has entered the container and spoiled the corn syrup. Dispose of any corn syrup containers that are not clear or contain bubbling or foaming on the surface. Corn syrup has an extended shelf life and remains stable for many years and conversely, high fructose corn syrup wihch is corn syrup that has been further processed with more enzymes and uses sulfuric acid to separate the starches only remains stable for nine months. To simply the difference between corn syrup and high fructose corn syrup it may be stated that high fructose corn syrup is corn syrup that is made from an inferior corn and undergoes extensive processing that includes the use of sulfuric acid as an igredient. Corn syrup is made from a superior corn and undergoes minimal processing that does not use sulfuric acid. Corn syrup was first boiled down similar to the way that maple sap is boiled down to maple syrup in 1812 in Russia. High Fructose Corn Syrup was first processed in Japan in 1965. The key to these statements is that corn syrup is a natural ingredient that is boiled down where high fructose corn syrup is different in that it is an engineered product that processes corn syrup into a more highly concentrated product through engineered chemical processes. High fructose corn syrup is an industrial ingredient used by large processed food manufacturers to cheaply and heavily sweeten their highly processed food products. COrn syrup is primarily used by confectioners in custom baking of confectionaries. When consumed, high fructose corn syrup inhibits the body's chemical messages to the brain indicating level of hunger or being full. Corn syrup does not inhibit these chemical indicators. As one can tell from the information provided, the differences between corn syrup and high fructose corn syrup or hfcs are many. From the production process, level of sweetness, uses, health aspects as well as price and availability there are vast differences. Many are often confused about the differences between these two sweeteners, and some even believe that these two sweeteners are the sam item. 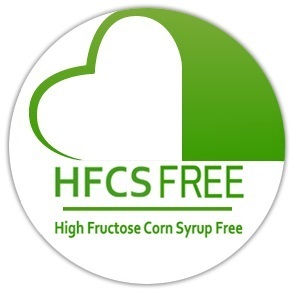 The fact remains that corn syrup products can be labeled as high fructose corn syrup free whereas hfcs cannot. To abbreviate high fructose corn syrup many people refer to it as fructose corn syrup. The term fructose corn syrup has no webster dictionary defintion yet is simply an abbreviation. This abbreviation is typically due to lack of knowledge about corn syrup and high fructose corn syrup. This lack of knoweledge is due to the many different opinions from doctors, producers, corn refiners and even the United States Food and Drug Administraiton. The fructose corn syrup as many refer to it as is a highly processed food ingredient. The term glucose fructose syrup is the exact same product as high fructose corn syrup. 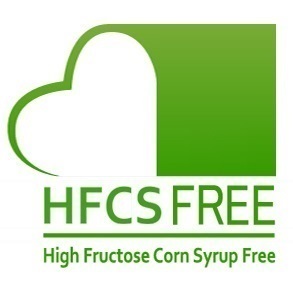 The difference is that the European Union terminology for HFCS is GFS or glucose fructose syrup. Glucose referes to sugars derived from starches, fructose refers to fruit sugars. In the United States, Canada, South and Central America, and Japan this product is known as high fructose corn syrup. To further your understanding of these sweeteners you might consider other terms that are used in the industry, by food scientists to refer to the various types of sweeteners. Below is a very simple descripiton of each so that understand can become clearer to the reader. The internet is a vast wealth of information, unfortunately when it regards high fructose corn syrup much of the information is fragmented as if the industry does not want the consumer to understand the product. ASPARTAME - Aspartame is an artificial sweetener that is most commonly known by the trade name Equal. Equal was first introduced into the United States marketplace as an artificial sweetener in 1981. FRUCTOSE - Fructose is fruit sugars, the carbohydrate portion of fruits that make them sweet. Fructose is a naturally occuring sweetener. GLUCOSE - Glucose is blood sugar that circulates in the blood stream of animals. Glucose is derived from and produced in plants and is the most important source of energy for cellular function in all animals. GLucose is produced in plant by photosynthesis reaction with water and sunlight and stored as starch. When stored in the bodies of animals glucose is stored as glycogen. ISO GLUCOSE - Iso glucose or iso-glucose means equal glucose or substances that are termed to be equal to glucose. This term actually refers primarily to High Fructose Corn Syrup yet in the European some Iso Glucoses are derived from wheat. MONGROSIDES - Mongrosides are sweeteners that are extracted from the Monk fruit. These sweeteners are approved in the United States but as of 2017 are not approved in the E. U. The sweetener Nectresse is the trade name for a sweetener that sweetens with Mongrosides. STEVIA - Stevia is a natural sweetener that is derived from the Stevia rebaudiana plant. Native to South America the leaves of this plant that are about 150 times sweeter than sugar yet with zero calories. This plant has been used as a sweetener in Japan for decades yet in the Unied States was only approved as a dietary supplement yet not as a food additive, in 2017 Stevia was recognized as a food additive officially by the Unied Sttes government. SACCHARIN - Saccharin is a synthetic product that is a sweet-tasting compound used in food and drink as a substitute for sugar. Saccharin has been used in the United States since the early 1900's yet has been determined to cause cancer in laboratory tests. Saccharin is still used to sweeten products in the United States in 2017 even thouth there are many other options and even withstanding the metalic taste. The diet soda introduced in 1965 known as TAB was and is sweetened with saccharin. In 2017 TaB is produced in Los Angeles and shipped nationwide. SUCRALOSE - Sucralose is an artificial sweetener and is commonly known by its trade name Splenda. Sucralose was approved by the U. S. F. D. A. in 1998 and introduced into the market in 1999. SUCROSE - Sucrose is simply cane sugar or beet sugar. This is a naturally occuring sweetener and is harvested or derived from plant tissues. Skin that chicken, a half of a rotisserie chicken contains approximately 750 calories, remove the skin and that drops to 490 calories. Explore more Sours and Bitter foods while reducing sweets and salty foods. By now your understanding of corn syrup, its uses, its ingredients and the difference between high fructose corn syrup and corn syrup is crystal clear. 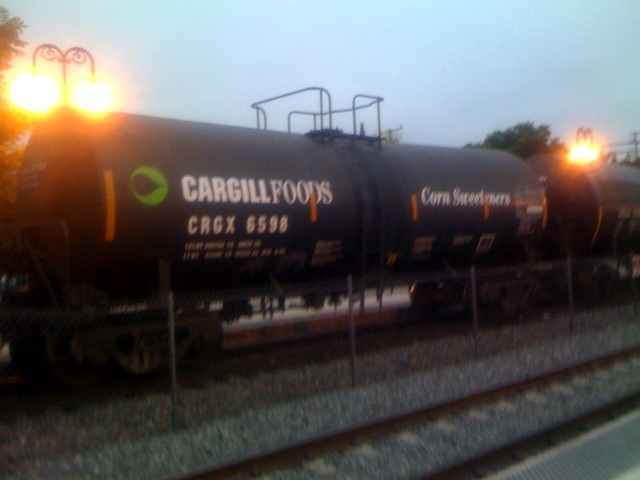 The industry of "corn" appears to make the understanding of these products very cloudy intentionally. The televisioncommercials with smiling fake families swinging on a tree and running throgh the corn field are cheesy and seem sketchy. To clear up any confusion fake families wiht fake smiles and scripted lines may not be the best approach. Simple defintions and facts are a much stronger message and may restore credibility to the producers and industry. After all, consumers only want to be well informed and be provided with choices. With the huge super markets of modern times stocking various products, manufacturer's striving to achieve strategic shelf placement and marketing agencies making ingredient' labels barely legible to perfect 20/20 eyes the best marketing strategy seems to be obviously positioning our high fructose corn syrup free or highfructosefree.com icon on the label of the products so that consumers are informed and make an automatic grab for the hfcs free selection. Please encourage your favorite high fructose corn syrup free producers to license our icon for ease of selection.